Basketball-Playing Cop Demonstrates Power of Touchpoint Marketing – StratGo Marketing. Plug-in marketing department services. Everything can be marketing and everyone can be a marketer. Officer Bobby White and neighborhood basketball players. Credit: Gainesville Police Department. Consider the unlikely example of Officer Bobby White from the Gainesville, FL police department. The policeman responded to a complaint of kids playing basketball too loudly on a residential street. Maybe the neighbor who called police should have been investigated, but I digress. What does this police story have to do with marketing? Everything. As you’ll see in the video below, Officer White produced more in a few minutes than any multi-million dollar community relations campaign the town of Gainesville could have commissioned. I love Officer White’s response for so many reasons. In this day of react first, think later, Officer White demonstrated a basic common sense so often lacking in today’s society. From the perspective of the neighborhood youth playing hoops, imagine what was going through their minds when the police car rolled-up and the officer popped out. 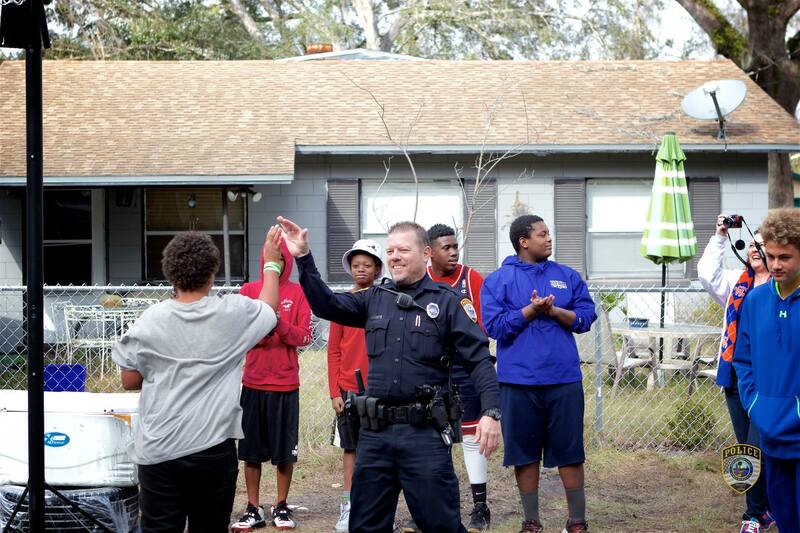 Instead of their worst fears, Officer White quickly calmed the situation, and then started playing basketball with the kids. They even adjusted the hoop to check out Officer White’s dunking skills. I don’t think they teach this at the police academy. On his way out, Officer White encouraged the group to continue the basketball – “have fun” – and not be too loud. He then asked if the kids played regularly at this time because he wanted to come back for a game with his own team. He actually did, and this time he, and everyone else, was surprised by an assist from NBA legend Shaquille O’Neal. But that was just the icing on the cake. The term “customer touchpoint” may be buzzword or cliché to some. Don’t dismiss the benefits or ignore the perils. Every time a customer interacts with an employee or has an experience directly related to your company, product or service, she forms an opinion. It’s up to every member of the company team to make sure the right experience is delivered. Officer White’s handling of this incident delivered everything the Gainesville Police Department could have ever wanted in terms of creating goodwill and a feel-good perception within the local community. Give credit to his astute colleague(s) who handle social media for creating and posting the video on the department’s Facebook page. Very smart. In four days, the video has been viewed 16.2 million times and counting. You can’t buy that kind of marketing. Officer White, you get my Marketing Play of the Week!